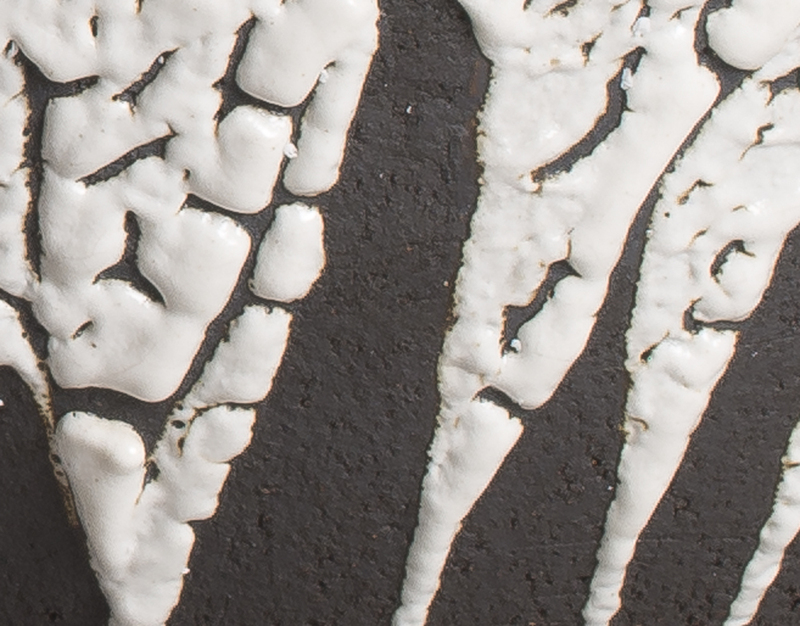 I recently had the opportunity to visit the Carmarthen Museum to take a series of photographs of a new collection of contemporary local ceramics. There wasn’t a dedicated studio space at the museum so I used my own portable studio which includes a full Elinchrom studio flash system and light modifiers. I also provided neutral grey paper backdrops and blackout material for the windows. The 36 megapixel camera that was used to capture the images revealed a huge amount of fine detail such as the artists finger marks or brush strokes. This level of detail is often of great interest to future researchers or academics. 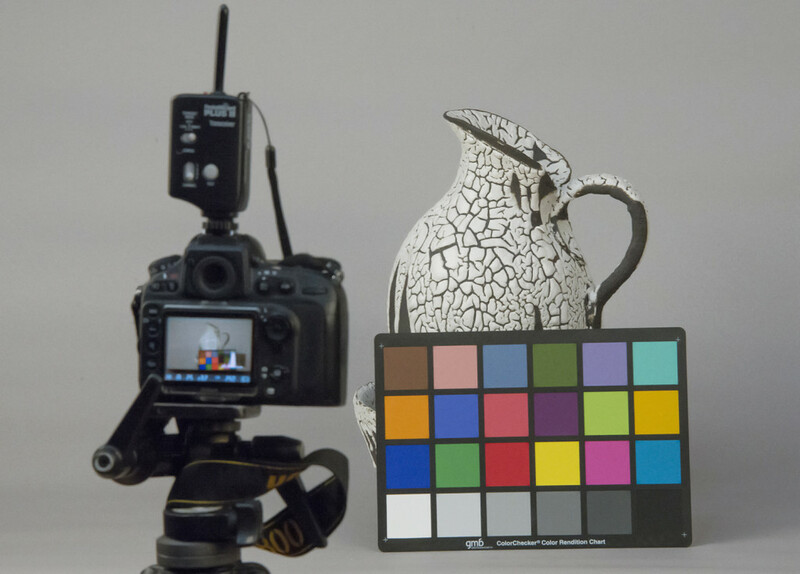 Colour accuracy is particularly important for images used in the heritage sector. Once the camera and lights were fully set up a reference shot is taken of a GretagMacbeth ColorChecker. 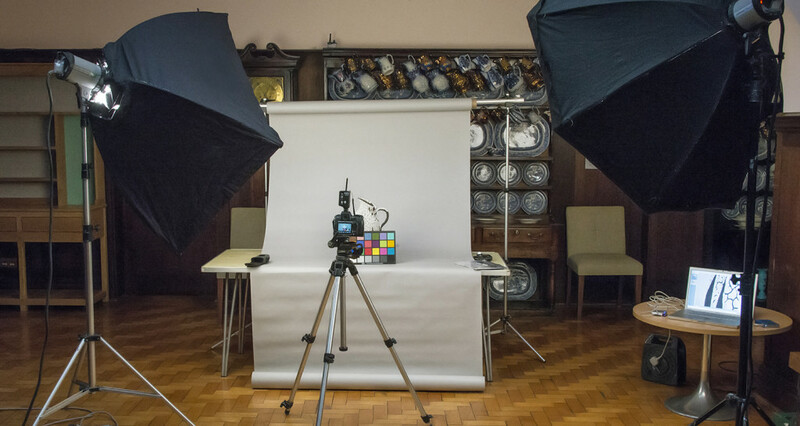 This is then used in the Raw conversion to ensure the colour is as accurate as possible throughout the workflow. Metadata such as artists name, date of manufacture, title of piece or series and information about the media type was embedded into the images as they were imported onto the computer. Images were captured in Raw and the client was provided with 16bit Adobe RGB Tiff files for their archive along with sRGB JPEG files for an online presentation they were preparing. The objects were all handled by a museum specialist. 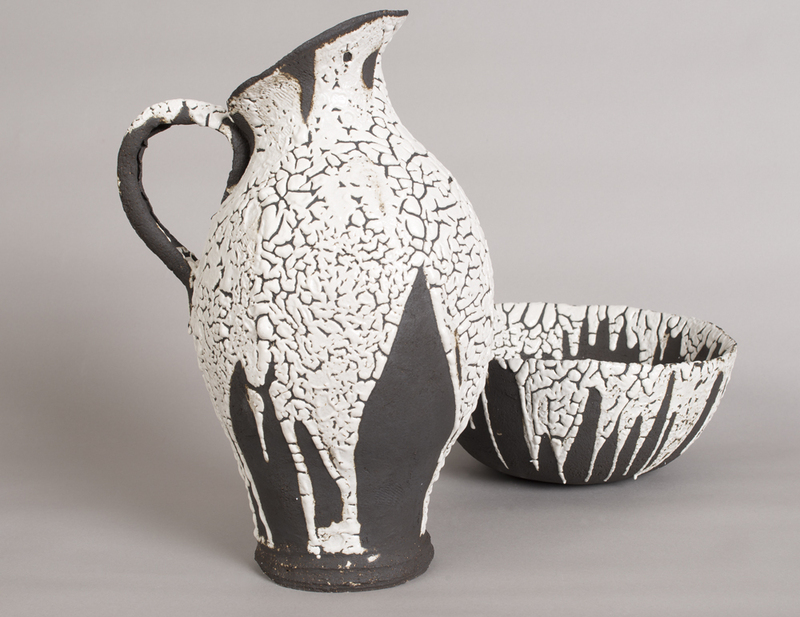 The collection of contemporary local ceramics is now on permanent display in the main hall of the museum. I worked for over 8 years for JISC Digital Media (formerly TASI) at Bristol University where I provided specialist photographic advice, support and on site consultancy to cultural heritage organisations across the UK. I now offer these services as a consultant. If you would like help in planning or undertaking a digitisation project do get in touch.